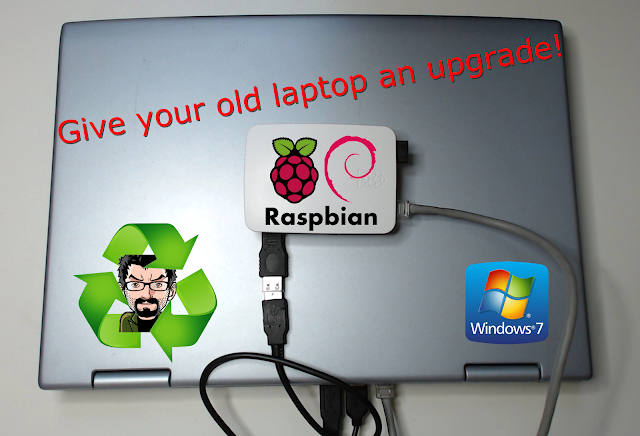 Plug a Raspberry Pi2 into your old laptop and give it a second life! Also wouldn't it be great to get your Pi around the house with a very portable setup? I know you get a Pi-Top (I'll admit it's cool but $269.99 without the Pi!!! ), you can get a Touchscreen even the original from the Pi Foundation, but the recycler in me sometimes screams for justice. 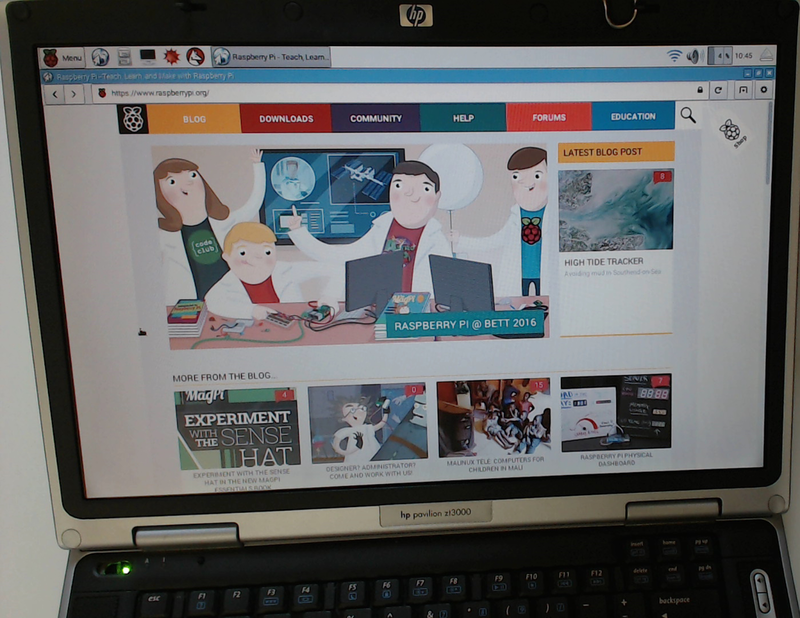 Fix the Pi on the back of your laptop's screen with whatever you can think of and enjoy a Pi with no dangling cables but with a nice keyboard, video and mouse setup. I made sure that the steps to follow are as simple as possible and that the configuration should work in the majority of situations. By all means this can be further improved and I'll be glad to hear from anybody who might have suggestions. 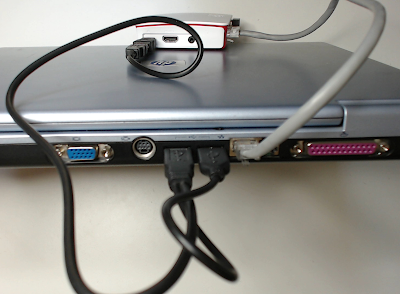 The Pi needs a Y USB cable with the usual micro connector on the other side. This StarTech 1 feet USB Y Cable for External Hard Drive - Dual USB A to Micro B can do just the job. The Ethernet cable doesn't need to be a cross-over although that wouldn't hurt if it is. 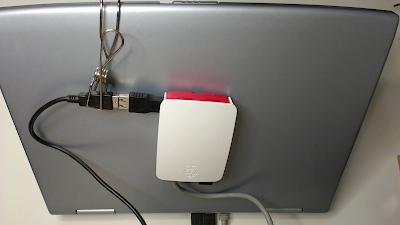 The Pi is capable of Auto MDI-X and will be able to adjust to a straight or a crossover cable directly connected to the laptop; no Ethernet HUB/SWITCH required. The quickest A quick way to have the best "Plug & Play" experience is to configure the laptop to work as a DHCP for the Pi, this will ensure that the Pi can just come out of a freshly burned SD card (If you use NOOBS you need to install an OS first) with no need for any configuration only requiring to only install VNC server on your Pi but with no need to configure its networking. 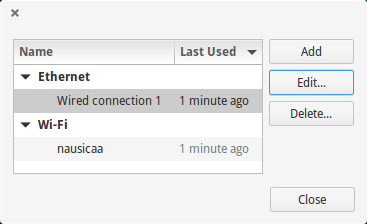 Most NetworkManager distributions should allow for "internet connection sharing" for each network cards. 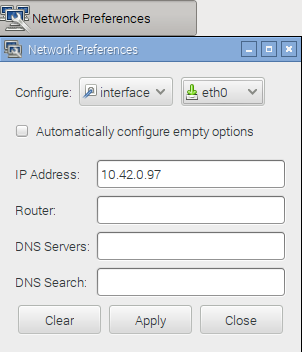 This allows for the laptop to use a service called Dnsmasq to provide automatic configuration of networking parameters for the guests, in our case the Pi. Great! Once the "internet configuration sharing" is setup our Pi can be plugged in in the USB ports of the laptop and hooked to the Ethernet cable. If you can ping it, you can SSH to it and that's the next thing to do. We now have a VNC server to connect to, note that it runs on screen :1 but don't try yet to get on the Pi until you have done the steps below otherwise you won't be able to use F8 to close the session as the keyboard might not work. 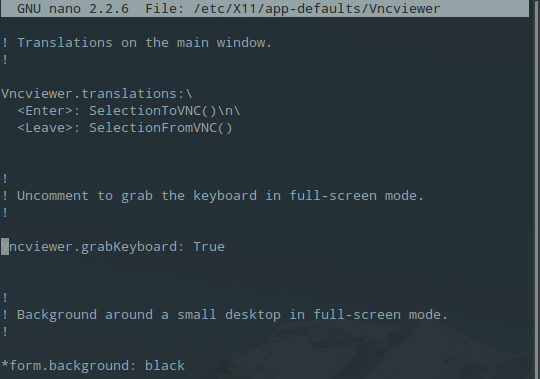 If the command above succeeds you should be prompted for the VNC server password you set earlier on and after that you should finally be in your Pi's desktop!! The reason is still within the realm of keeping things as simple as possible. You remember that Dnsmasq you mentioned earlier? Well as a good DHCP it will keep on refreshing periodically the information of the Pi's Ethernet adapter not only with IP and Mask but also with Gateway, DNS and default route. 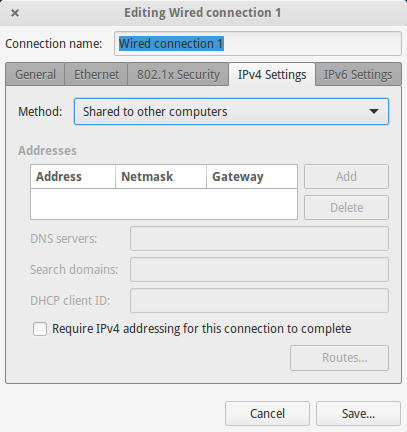 Now, after we will enable the Wi-Fi card on the Pi we'll want for the default route and the DNS server to be only the ones of the Wireless card not the ones configured from the DHCP server on the laptop. This will ensure that the Pi will be able to connect to the internet only through its Wi-Fi card. uncheck "Automatically configure empty options"
At this point we'll need to configure the Wi-Fi connection on the Pi in the standard way and we should be done!!! Also some good designer cloud come up with maybe a 3D printed enclosure or VESA fix like structure that can be adjusted to most laptop screens. It'll be nice to find a way to accommodate a breadboard too although having it always fixed on the back of the screen might not be ideal. I leave it here I guess but this is clearly far from being something to "resell". 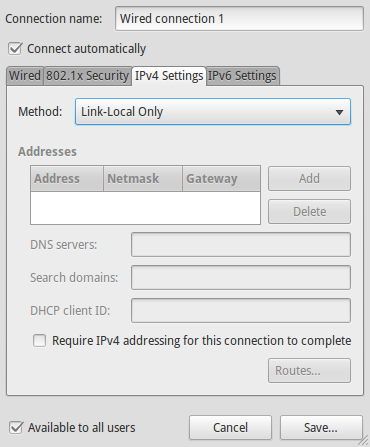 If your laptop comes with a Wi-Fi interface then you could use that to connect the Pi to the internet in a much more traditional ICS configuration. This hides the Pi behind a NAT and for the majority won't be a problem and work great, I preferred to use the laptop just as a KVM though. I must admit that I have tried to find out whether the Pi supports Link-local address which would have made things less complicated but I couldn't find much about this and eventually opted for the more cumbersome "internet connection sharing" approach. 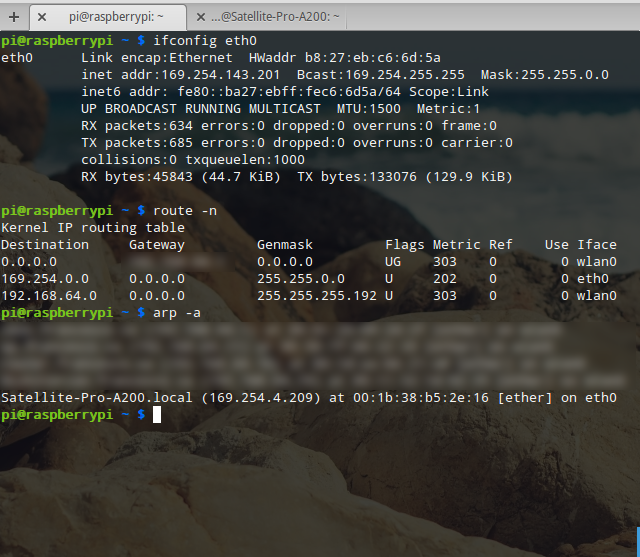 Since I wrote this article I made a bit more research into the matter of Link-Local Address and specifically with regard to the support of this in Raspbian. It turns out that the Pi is more than capable of supporting IP auto configuration and this is in fact the quickest way to go about configuring the Pi in tailless mode (I like calling it this way!). 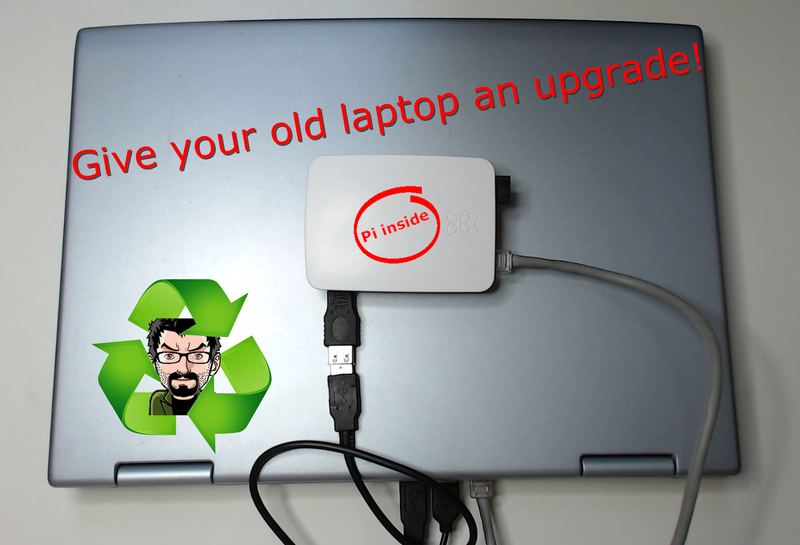 Do you have some old laptops sitting around that aren't quite good enough to run a full desktop? Do you also have a good enough PC that could run some virtualisation platform? Then there is hope yet! As I am writing this article I am using a rather old laptop with an Intel Atom with 2GB of RAM and everything is running pretty smoothly. I have just renewed my home server running ESXi 6 on which I have installed Windows 7 in a VM. I then acquired 5 free VNC licences of RealVNC and installed a VNC server on the Windows box. The laptop runs a light version of Linux, in my case Elementary. I have set the resolution of the Windows box to match the one of my laptop and simply run VNC viewer from my laptop to the Windows box in full screen. The result is actually quite good! There are enterprise level protocols that can serve the purpose in a much better way; smoother video refresh, better compression, multimedia support but for most of what I do VNC is absolutely fine. I have no audio support, the videos are not very fluid but in general the experience is very good. Also my session always stays there where I left it which is a good bonus because I can take that same session from pretty much any device I have in the house including my tablet. Once you have one desktop floating in the house nobody will stop me from having two three more, no need for a beefy laptop, no need for dual boot, simply switch your session! As I am writing about the upgrade process of my ESXi server in a bit more detail I will also go through what I did to setup the Desktop Virtualisation (strictly speaking this is not VDI in fact) so stay tuned!